12th Annual 4-Week Fitness Challenge - Feb. 10 - March 10! 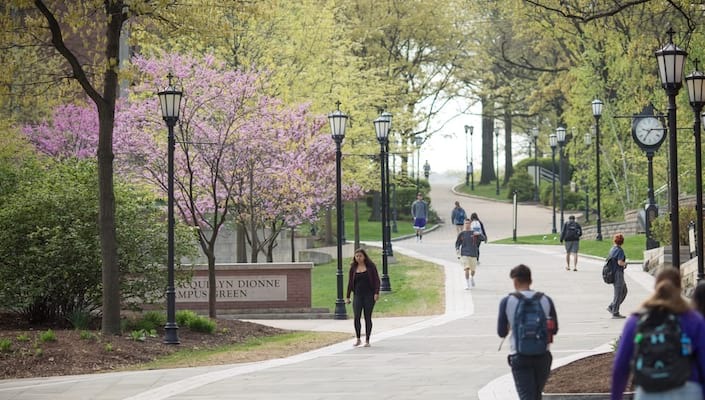 Last year, over 850 University of Scranton students, faculty & staff challenged themselves to commit to regular exercise (150 minutes/per week) during the Fitness Challenge. Let's support, challenge and motivate each other to get fit and feel good! Finish the Fitness Challenge to earn a dri-fit t-shirt! You can register as an individual or make a Fitness Challenge team (2-5 people, each team member must register individually). - Register online to participate before Feb. 8. - Complete 150 minutes of moderate-intense physical activity each week. - Certify you completed 150 minutes of physical activity on your online Weekly Fitness Log by Monday at 1 p.m. and be automatically entered for weekly raffle prizes. The Fitness Challenge is sponsored by The Center for Health Education & Wellness. Questions? 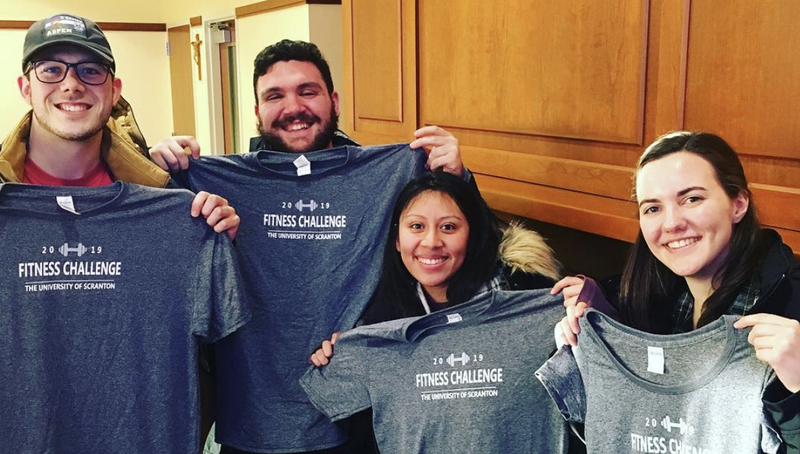 Stop by our Fitness Challenge Kick-Off Event on Feb. 5 from 11:30-1 p.m. outside of CHEW (TDC 205k) to register and see t-shirt sizes.